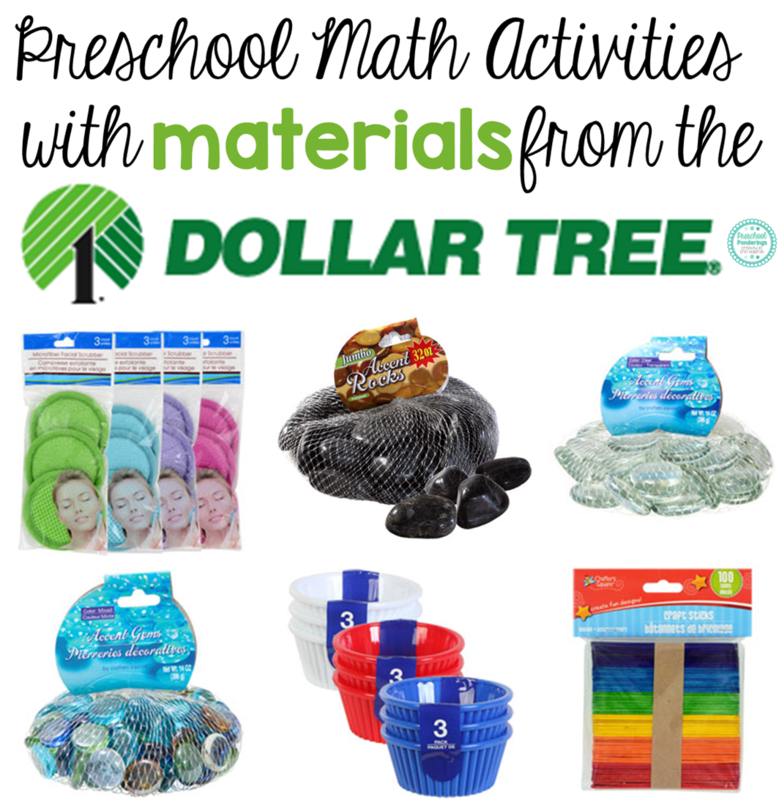 This week I'm on a mission to share some fun math activities that your kiddos will love - the best part is that all of the materials you will to put them together are from the Dollar Tree. I went to my local Dollar Tree store and I spent $11. That $11 bought materials for 15 different math activities that are perfect for preschoolers. I'll share one set of materials each day, and show you different games that you can use them for. Today I want to share what I made with the larger flat glass stones. I focused on three different math activities, but before we talk math, let's talk about how I added the colors. I dug out my stash of scrapbook paper and chose the designs that I wanted, then I used a circle punch to cut circles from each paper. I used a paint brush to coat the back of each stone with Mod Podge, and then placed the paper circle on top of the Mod Podge, so that the colored side of the paper would show through the stone. To make the stones with the numbers I used number stickers, placing them on the paper circle before I attached the circle to the stone. Now, how can you use them for math? We definitely want children to recognize the numerals, but it's also important that they know what order they go in. The can practice both skills with these numbered stones. These would also be great for practicing two-digit numbers if you have kiddos that are ready for that. 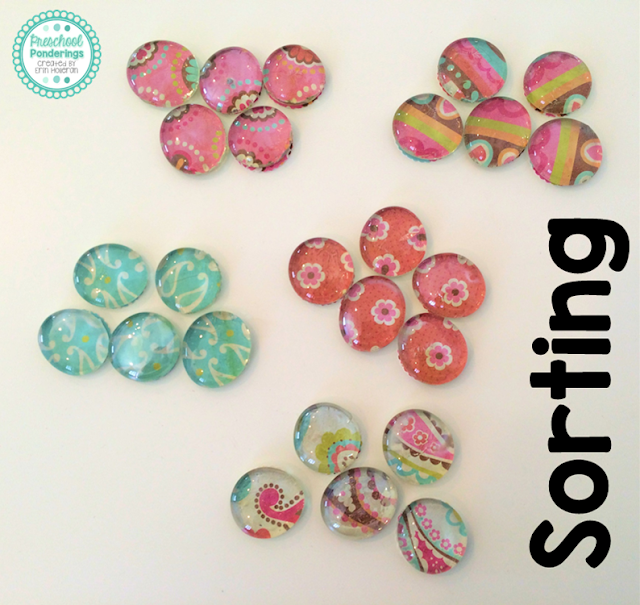 As long as you use multiple papers when you create your stones, your students will be able to sort them. Fill a basket with colorful glass stones and provide space for the children to spread out the stones and sort them by color or design. 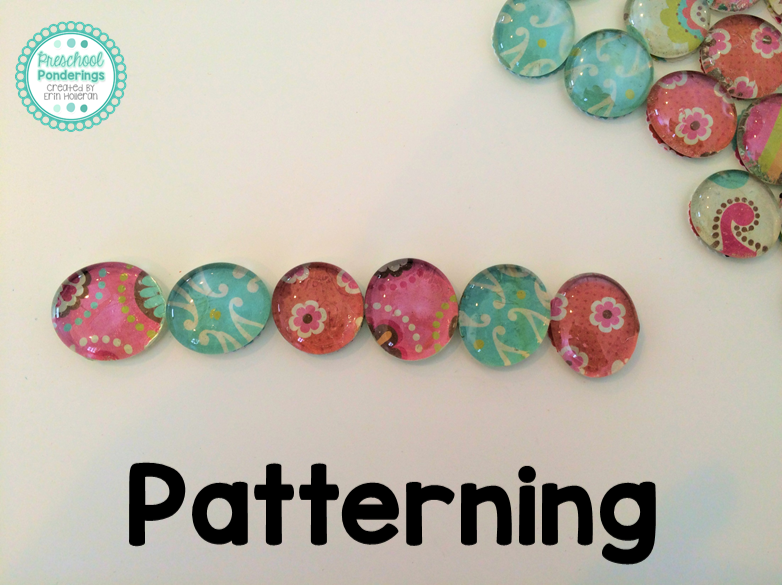 Once the stones have been sorted, they can be used to create a number of different patterns, depending on how many designs you used, and how many stones of each design that you created. The best part about all of these activities is that they all offer opportunities for you to spend time working on the concepts with the children. These stones encourage conversation and exploration, and they only cost $1! How else could you use these materials for math practice? 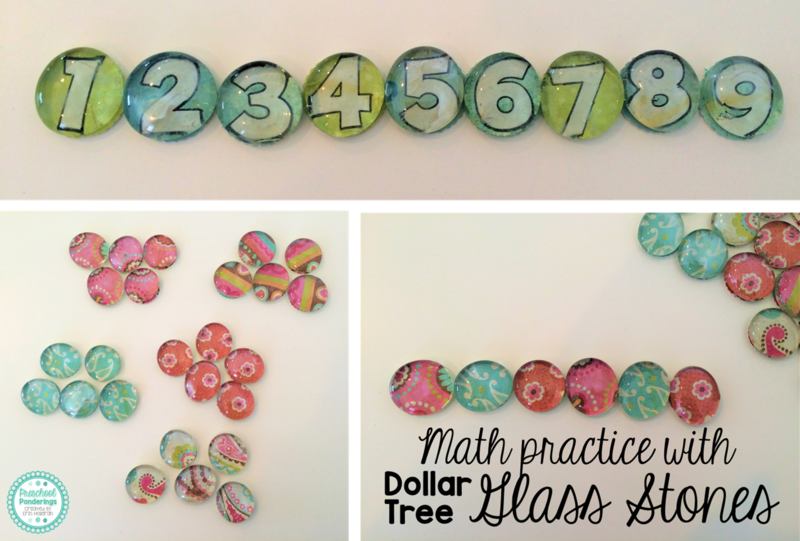 For more great ideas check out the rest of my Dollar Tree math material posts!